William Clark Gable was an American film actor and military officer, at his height during the 1930s and 1940s and often referred to as "The King of Hollywood". He began his career as an extra in Hollywood silent films between 1924 and 1926, and progressed to supporting roles with a few films for Metro-Goldwyn-Mayer in 1930. 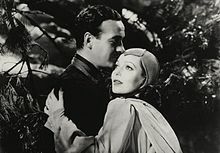 He landed his first leading role in 1931 and was a leading man in more than 60 motion pictures over the following three decades. 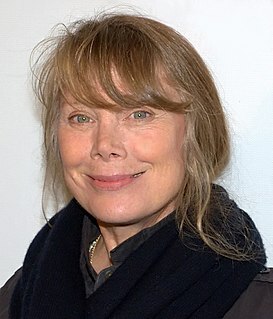 Mary Elizabeth "Sissy" Spacek is an American actress and singer. She is the recipient of various accolades including an Academy Award, three Golden Globe Awards, two Critics' Choice Movie Awards, a Screen Actors Guild Award and nominations for four BAFTA Awards, three Primetime Emmy Awards, a Grammy Award. Susan Hayward was an American actress and model. Anita Louise was an American film and television actress best known for her performances in A Midsummer Night's Dream (1935), The Story of Louis Pasteur (1935), Anthony Adverse (1936), Marie Antoinette (1938) and The Little Princess (1939). She was named as a WAMPAS Baby Star, and frequently described as one of the cinema's most fashionable and stylish women. Bonita Granville Wrather was an American actress. 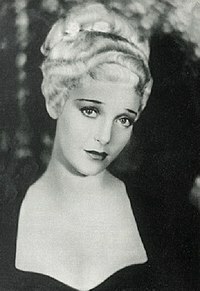 She was nominated for an Academy Award for her supporting role in the film These Three (1936). Her other notable film roles were in Cavalcade (1933), Ah, Wilderness! (1935), The Plough and the Stars (1937), Now, Voyager (1942), and Hitler's Children (1943). Judy Canova, born Juliette Canova, was an American comedian, actress, singer, and radio personality. She appeared on Broadway and in films. 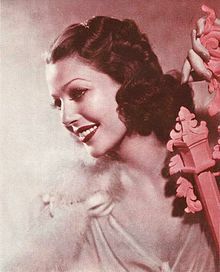 She hosted her own self-titled network radio program, a popular series broadcast from 1943 to 1955. Sally Blane was an American actress. She appeared in over 100 movies. 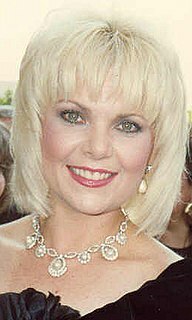 Ann Jillian is an American actress whose career began as a child actress in the 1960s. She is possibly best known for her role as the vampy Cassie Cranston on the 1980s sitcom It's a Living. Judith Therese Evans, known professionally as Judy Greer, is an American actress, director, and author. She is primarily known as a character actress who has appeared in a variety of comedic and dramatic films such as Adaptation, The Village, Jurassic World and Ant-Man. Sandra Descher is an American former child actress of the 1950s. Celia Kaye is an American actress who appeared in a recurring role as Marnie Massey, daughter of the character Christine Massey played by Loretta Young, on the comedy-drama series, The New Loretta Young Show. Most of Kaye's work was on television between 1962 and 1974, with final credited film appearances ten years apart - in 1978 and 1988. Mckenna Grace is an American child actress. She began acting professionally at the age of 6, her earliest roles including Jasmine Bernstein in the Disney XD comedy series Crash & Bernstein (2012–2014) and Faith Newman in the soap opera The Young and the Restless (2013–2015). Her early film roles include supporting performances in the drama Mr. Church (2016), the science fiction film Independence Day: Resurgence (2016), and the comedy How to Be a Latin Lover (2017). She gained recognition for her critically acclaimed performance in Gifted (2017), for which she was nominated for the Critics' Choice Movie Award for Best Young Performer, and for portraying a young Tonya Harding in I, Tonya (2017). Grace is also known for portraying Penny Kirkman in the ABC drama Designated Survivor (2016–present) and young Theodora Crain in the Netflix supernatural horror series The Haunting of Hill House (2018–present). She also has had a recurring role in the Netflix series Fuller House as Rose Harbenberger, guest stars in another Netflix series Chilling Adventures of Sabrina as young Sabrina Spellman, as well as the lead role in Lifetime's made-for-television remake of the 1956 film of the same name based on the homonymous novel by William March The Bad Seed as Emma Grossman. In 2019, she shared the role of young Carol Danvers in Captain Marvel with London Fuller.